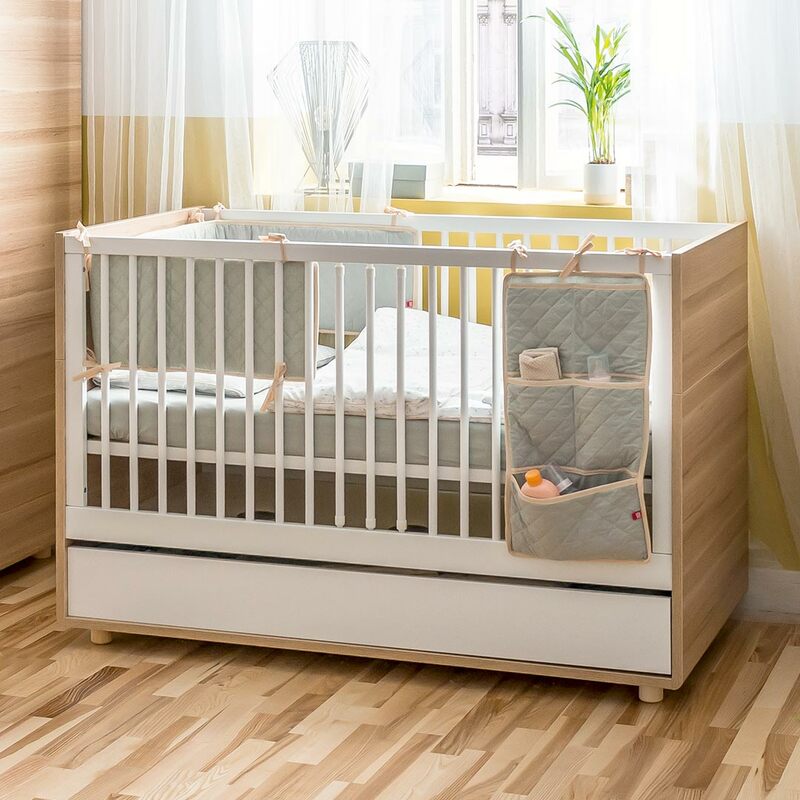 The convertible Evolve Cot Bed - Oak & White has timeless style, an elegant colour combination and a large drawer for handy storage. 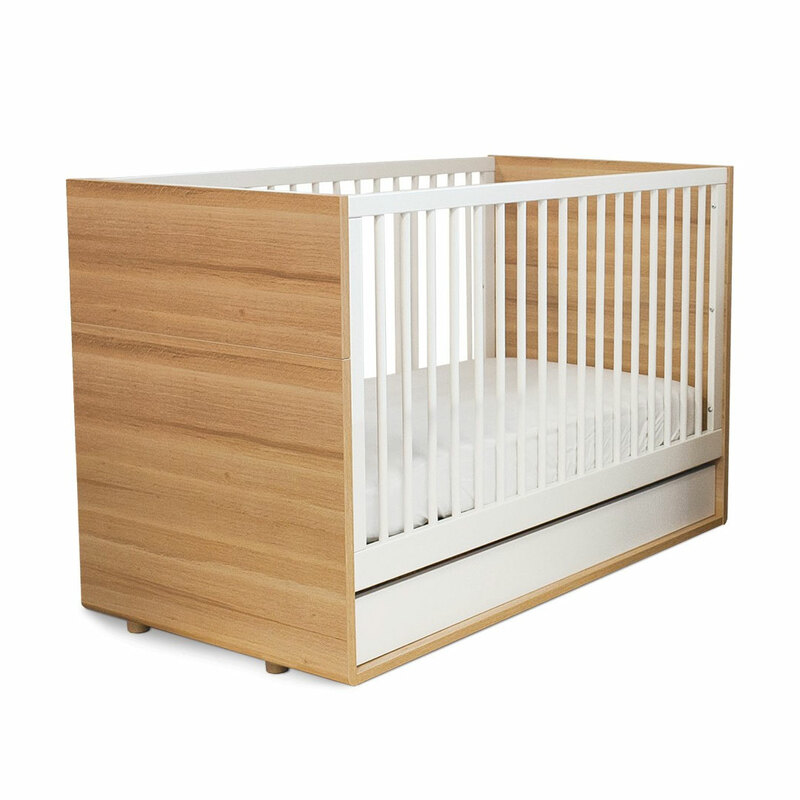 This cot bed can be transformed and adapted to your baby's needs easily. It is adjustable to two different heights and can become a comfortable cot bed as your little one grows into a toddler. 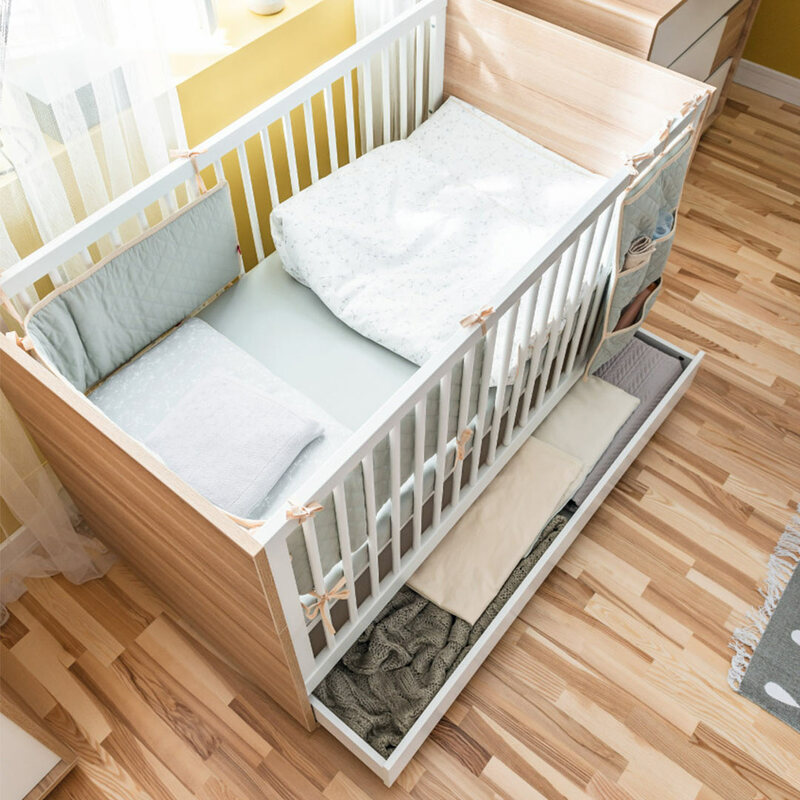 The drawer at the bottom is useful for storing toys, clothes or bedding. 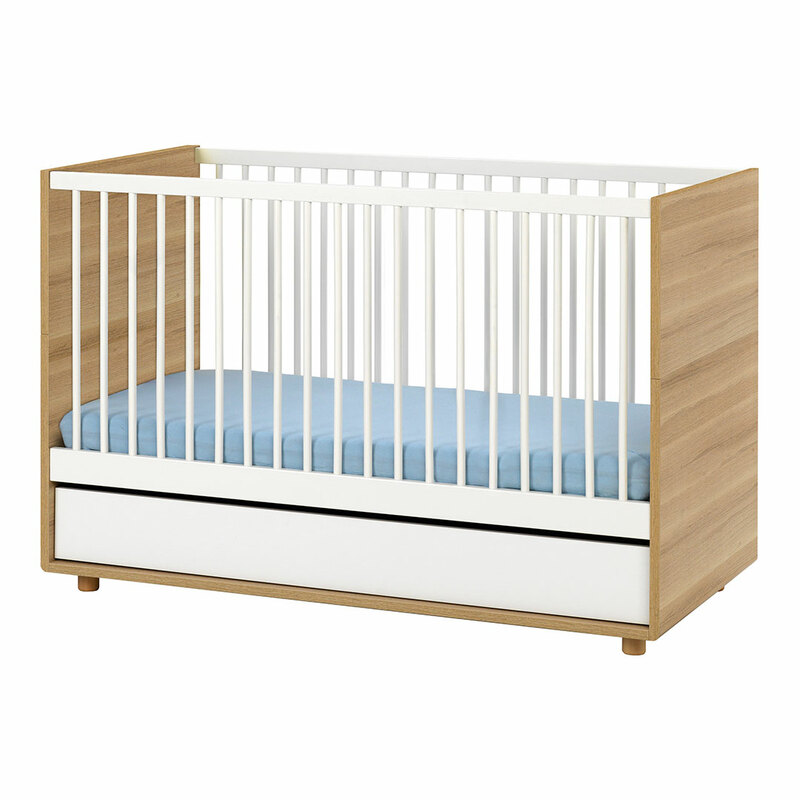 The cot fits a mattress sized 140cm x 70cm (available separately).